The SBI-led banks' consortium hints at investment possibility of up to 75% stake in debt-laden Jet while expression of interest is set to close on Wednesday. Time is running out for Jet Airways, which is teetering on the brink of bankruptcy, while the lenders' rescue plan for selling 31.2-75 per cent stake in the debt-laden airline failed to elicit formal offers with only one day left for the expressions of interest (EoI) to close. On the first day of the bidding on Monday no potential investor entered the fray, according to reports. The window closes at 6pm on Wednesday. However, optimism prevails in the market following the invitation of bids by lenders. The Jet share continued to rise for the second day on Tuesday and rose nearly 3.5 per cent to Rs 268 in the afternoon session. The lender' consortium led by the State Bank of India (SBI), meanwhile, stepped up efforts to engage with Abu Dhabi-based Etihad Airways, the second-largest shareholder with 24 per cent stake in Jet and its strategic foreign partner. Etihad continues to stand the ground that it would require an exemption from the Indian capital markets rule's requirement of having to make an open offer in case it is to consider investing further in the troubled airline. The lenders have reached out to private equity investors including TPG, and state-owned National Infrastructure Investment Fund (NIIF). A few airlines including from the US and Europe have unofficially shown interest, according to sources, though the lenders are yet to get any official word from them. There are also efforts to tap Tata and Adani groups, according to a report in the Economic Times. Jet Airways, meanwhile, is flying on borrowed time with the number of aircraft available for daily operations shrinking to 25 out of its fleet strength of 120. Almost all aircraft the airline took on lease have been grounded after the leasing companies stopped their flying after payment default. There have been reports the company that has leased 10 Boeing 777 aircraft to the airline could also force the grounding of the aircraft as defaults are mounting. With the cancellation of Jet flights rising every day, other domestic airlines have waded in to take advantage of the slots with SpiceJet, GoAir and IndiGo filing in. The legal, financial, operational, and procedural tangle that is surrounding the rescue plan is not helping the cause of the airline, according to observers. The lenders can offer only about 32 per cent of the airline's shares that have pledged with them by founder Naresh Goyal, a senior bank official said. Goyal stepped down from chairmanship and board of the airline on March 25 and the board of Jet has approved the conversion of loans into equity. This would raise its stake in the airline to about 51 per cent. The Supreme Court has thrown a spanner in the works by setting aside a circular of the Reserve Bank of India (RBI) of February 12, 2018, based on which the Jet loan restructuring plan was conceived. 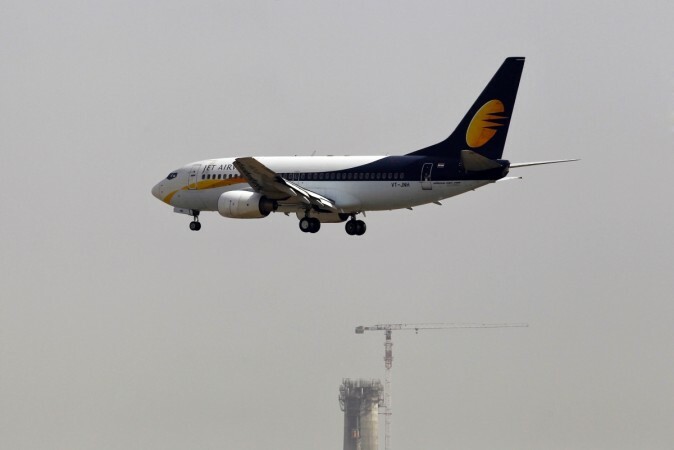 The result is that Jet's shareholding structure remains the same with Goyal controlling 51 per cent stake and Etihad, which has offered to sell all its shares, at 24 per cent. The rest of the shares are with the public. The bid document says the bidder can be a strategic investor having a minimum net worth of Rs 1,000 crore as of FY18, Rs 1,000 crore funds available for investment in an Indian company or asset, and three years of commercial aviation experience. It can also be a financial investor with Rs 2,000 crore assets under management or Rs 1,000 crore funds available for investment in an Indian company or asset. Alternatively, it can be a consortium of not more than three entities with each entity holding a minimum of 15 per cent in the grouping with the leader holding a minimum of 26 per cent, reports say. This opens the way for private equity firms to make a pitch for the airline's control. Reports say private equity firm TPG Capital and KKR are also prospective bidders for the airline, which has a net debt of Rs 8,500 crore, as the bid document does not insist on experience running a commercial airline for the bidder who has Rs 2,000 crore investible funds.